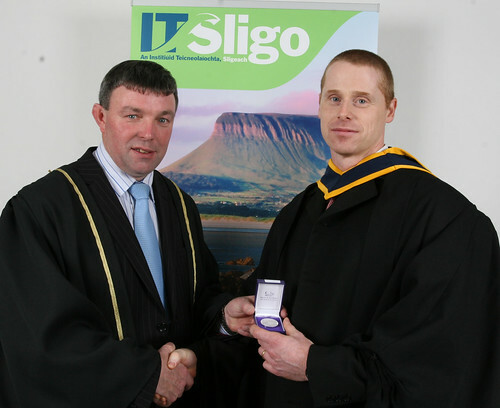 The photograph shows Joe Queenan, (left), Chairman of the Governing Body Institute of Technology Sligo presenting the SQT medal to Dermot Radford. This medal is awarded to the student who achieves the highest grades on the BSc in Quality Management and Technology at Sligo Institute of Technology. Sligo Institute of Technology has a long tradition in delivering third-level education in Quality. It’s interesting to note that Dermot’s complete programme was delivered on-line. Congratulations Dermot from all in SQT!